In 2005 the Seal family paired up with the former winemaker Steve Bailey and friends to make wine for personal consumption out of his garage. As the years passed we were able to source better fruit, refine our processes, and share our newfound passion with others. On the heels of a great 2009 crush, father and son team, Mike and Ryan started talking about sharing their passion for good wine with more than just their close friends. In 2010 Mike and Ryan Seal along with Ryan’s childhood friend Scott founded Sigillo Cellars, an Italian translation of their last name. Under the guidance of former winemaker, Steve, we broke into the industry that first year with a 400+ case production. By 2012 we had increased our production to just over 1300 cases and opened our doors to the public and converted a corner of our production space in Snoqualmie by adding a tasting counter. We continue to increase production to include a portfolio of traditional Bordeaux and Rhone varietals as well as a few other favorites. With the help and loyalty of our family, friends and Valley Community we opened a separate tasting room in the beautiful historic Sunset Theater in the heart of downtown Snoqualmie. To maintain our belief that wine should be experienced and not merely tasted we have expanded our beautiful family friendly tasting room to include light fare for those who want a longer experience, a new outdoor seating area for the Mt. Si viewing experience, and live entertainment for those who want an evening experience. Come share the experience with us, The Sigillo Cellars Family. 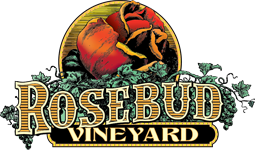 Rosebud Vineyards, established in 1979, is one of the earliest to be planted on the Wahluke Slope. Family owned and operated for three generations, we are genuinely invested in Washington State’s wine industry. Location is key, and we believe that our past vintages represent the unique qualities and potential of the Wahluke Slope. Our vineyard location is one of the driest, warmest sites in the state. Our commitments to working closely with our customers and winemakers, combined with our experience, location, and innovative approach are the components that lead to a consistent quality wine grape, and ultimately an extraordinary premium Washington wine. Sigillo Cellars sources Mourvèdre, Petit Verdot and Tempranillo from Rosebud vineyard. Our 12 acre vineyard is planted with the 3 major Bordeaux varieties: Cabernet Sauvignon, Cabernet Franc and Merlot, in the world famous Red Mountain Apellation. It was planted for us in 1997 by Eve’s brother, Fred Artz. It’s planted on a 9′ X 6′ spacing, bilateral cordon trained, and is spur pruned to produce approximately 10 lbs. per vine or about 3 1/2 tons per acre. We hand prune, thin and harvest and use no herbicides. We practice integrated pest management with a very soft, sustainable spray program. Because we are small, we can take great care in hand raising our grapes. We believe that exceptional wine is largely made in the vineyard. Our 100% estate grown red wines are proof of the high quality of our vineyard. Sigillo Cellars sources Cabernet Franc, Cabernet Sauvignon and Merlot from Shaw vineyards. Founded in 1968 through the vision of Alec Bayless, Sagemoor Vineyards was a pioneering effort that helped establish the Washington State wine industry (see Excerpts below). Its early vineyards are among the oldest large-scale plantings of vinifera grapes in the State. 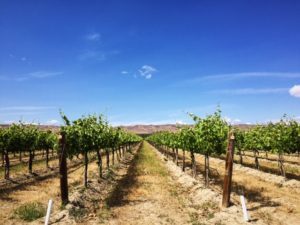 Today, the Sagemoor Group has more than 800 acres in production, supplying premium quality fruit to many of Washington’s most prominent wineries. A significant number of 1972 plantings are still producing highly acclaimed “old vines” Cabernet Sauvignon and Sauvignon Blanc. Other varietals include Merlot, Chardonnay, Syrah, Cabernet Franc and White Riesling. The Sagemoor group is comprised of four partnerships under common management, doing business as Sagemoor Vineyards: Sagemoor Farms, Bacchus Vineyards, Dionysus Vineyards and Weinbau Vineyards. 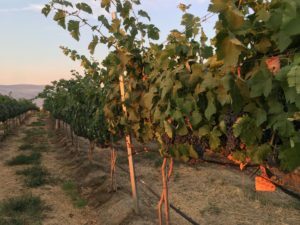 Location is an extremely important factor in growing high quality grapes, and these vineyards are situated on some of the finest sites in the state. Sagemoor, Bacchus and Dionysus are located near Pasco on southwest facing hillsides with dramatic views of the Columbia River below. Weinbau is on the Wahluke Slope above the Columbia River near Mattawa. Sagemoor customers represent the largest of Washington state wineries, as well as boutique niche market cellars. Our winemaker clients actively participate in viticultural decision-making within their preferred blocks in pursuit of their personal flavor profile goals. Precision farming techniques such as vigor mapping, Regulated Deficit Irrigation, soil profiling, micro nutrient analysis and “green harvest“ thinning are applied to manage yields, balance canopy with crop load, optimize sun exposure and ensure consistent high quality fruit. We further tailor our services to give clients the choice of tonnage or acre contracts, hand-pick or machine harvest, bin or tub containers, transportation options and payment terms to suit their specific needs. We strongly believe that only through close, personalized working relationships with our clients can we realize the common goal of growing great wine! Sigillo Cellars sources Carménère from Weinbau vineyard, Chardonnay from Bacchus vineyard and Dioniysis vineyard, Malbec from Weinbau vineyard and Merlot from Bacchus vineyard. All of these vineyards are managed by Sagemoor Vineyards. Our site is located at the very East end of the Yakima Valley AVA, five miles west of Red Mountain. The site elevation ranges from 850 feet at the North end to 775 feet at the South end. The site’s climate is an excellent warm one for wine grapes with an average of just under 3000 growing degree days. The site is located near a number of well-established and proven vineyards. Our 20 acre site has 14 acres of vineyard potential with no previous fruit crops planted on it, which enabled our Registered Vineyard Block status for certified clean plant material. (Prior crops were various types of grasses grown for livestock grazing.) Irrigation rights are from two sources: a groundwater well (13.4 acres) and Roza irrigation district (1.6 acres). Our first block was planted in 2011, and we add a one acre block each year. Our growing goals are focused on Red Rhone varieties for the ultra-premium wine market. We believe our site is well suited for these varieties, and they are an underrepresented market niche for small growers and winemakers. We believe Rhone style red blended wines are some of the most interesting wines in the marketplace, representing subtlety of flavors and variety through a large range of outstanding blending options. Sigillo Cellars sources Grenache, Mourvèdre and Syrah from the Les Vignes Le Tendre vineyards. At Lonesome Spring Ranch (LSR) we strive to grow the best vinifera wine grapes of the highest possible quality. Our vineyard is located in the warm, well drained Rattlesnake Mountain bench near Benton City, Washington. We harvest by hand and by machine. Ours are the grapes of choice for small, medium and large wineries for the production of superior quality, award-winning wines. Our vineyard team, lead by Sam Mosman, has been working together at LSR for more than a decade. They bring hands-on experience, pride and consistency to vineyard production, as attested by the quality of wines produced by our grapes. Owner Colin Morrell has been growing, managing and consulting for vineyards for more than 30 years. 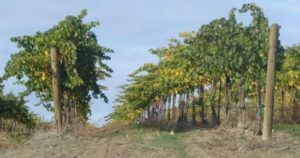 Because of the reputation LSR has earned over the years due to the perennial high quality of its fruit, many vineyard blocks are sold out, although some fruit is still available. Sigillo Cellars sources Sauvignon Blanc, Viognier and Sparkling Viognier from the Lonesome Spring Ranch vineyards.